We’re very excited to present the first ever Those Darn Cats book club meeting! And in fact, we do believe we’re the first Disney podcast to publish a book club episode, and we expect to see others jump on the bandwagon soon. Our first book club session is a discussion of Down and Out in the Magic Kingdom by Cory Doctorow, which you can download in many formats here, plus audio book here. This book is distributed under a Creative Commons license, and all the versions linked to from this page are free. Turns out we were wrong, though . . . some lawyer from New Jersey published a book club episode yesterday. But hey, we’re still proud to be on the leading edge of the trend. 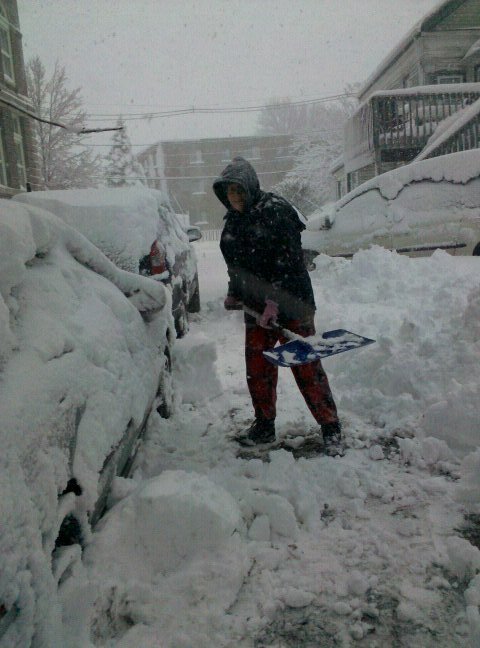 The snow in Boston looks a bit different than this. It’s sunny today in Boston, and we’re expecting another foot of snow tomorrow. I’m not entirely sure where to put it, given that the sides of my 30-yard driveway are already piled high with packed snow, and it doesn’t look like anything’s going to melt off before it’s time to shovel again. But at least I got the back deck cleared off on Saturday, since it was getting heavy enough that I worried about our kitchen roof underneath it. All of which is really to say: I’m so incredibly, deeply glad that I took a day all to myself earlier this month and went to Disneyland. This has been a strange month indeed. 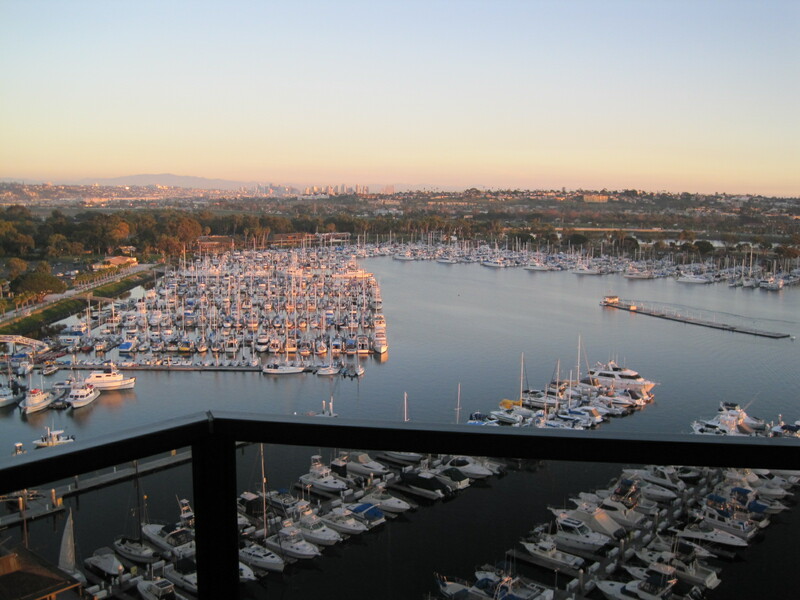 The third week of January, I was scheduled to attend business meetings in San Diego on Tuesday and Thursday, with a gap on Wednesday. I’d be flying to Orlando that Friday, for my best friend’s WeddingFest, so I knew a Disney fix was in my near future. But given that I’d be 90 minutes from Anaheim, with an inexplicable day off in Southern California, I’d scheduled an official vacation day, and booked a one-day car rental through the concierge in my lovely San Diego hotel. Being a Disney blogger, columnist, and podcaster, you’d think that it wouldn’t take much for me to get myself out of the hotel for a day at the happiest place on earth. But you’d be wrong. I’m also a working mom, and my family’s primary breadwinner at that. My spouse is a journalist, and I’m sure you’ve heard how kind the economy’s been to that sector lately. So I hemmed and hawed a lot, even on the morning of my daytrip. Surely there were better uses for the ~$180 I’d be spending on the daytrip, between car rental, gas, parking, and a one-day one-park admission. Surely I should be getting something more productive done for my work or family. 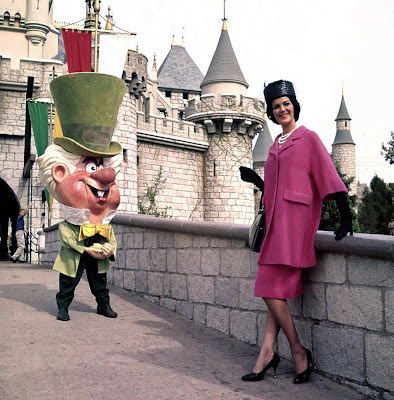 But sometimes, mom just needs a day at Disneyland. It was a chilly Wednesday in January, possibly the best day ever to be at the park. There were no parades or fireworks, it’s true. 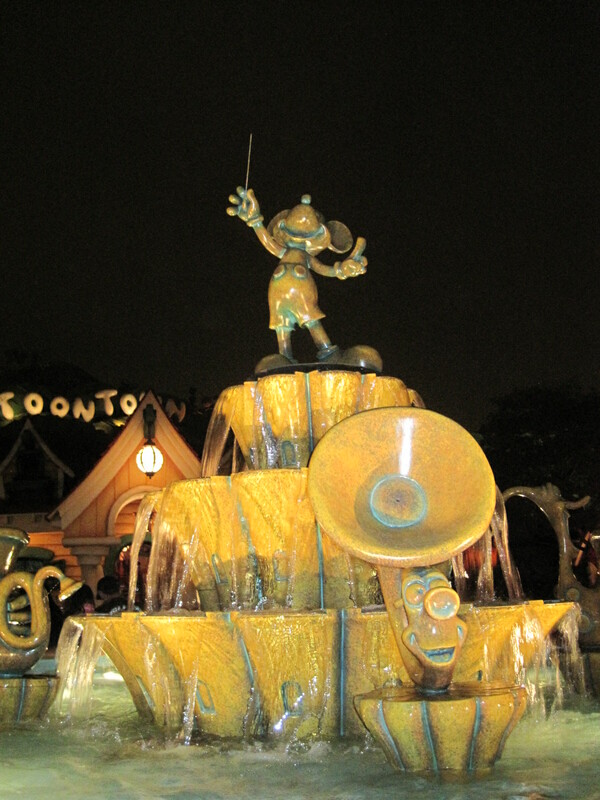 I opted to skip DCA and the World of Color, and focus instead on my first Disney park, the first Disney park, the home of Mr. Toad’s Ride and the currently-open Toontown and the place of so many happy memories. I hit a lot of traffic coming up from San Diego. I would’ve liked to leave around 6:00am, to hopefully beat some traffic and make rope drop, but the car rental counter didn’t open until 7:30am and they couldn’t promise me a car until 7:45am. I was cranky on the highway, but it started to melt away when I saw the exit signs for Disney Way/Katella Boulevard. As much as I love touring the parks with my family and friends, there’s something special about a day alone in Disneyland too. Since I’d be at Walt Disney World in just a few days for WeddingFest, I knew I’d have plenty of time to enjoy Disney together with loved ones, and could completely throw myself into whatever I wanted to do alone at Disneyland. I knew, too, that WeddingFest wouldn’t mean a lot of park time, and that touring the parks becomes complicated with large groups of people with disparate interests, so I hit all my favorite attractions at least once, knowing I might not have a chance to experience their Magic Kingdom counterparts anytime soon. As I’ve written about before, I spent much of the day wrapped in happy obsession with leveling up and earning badges on Lines. But touring alone also let me focus on some of the little things I might not have noticed otherwise. 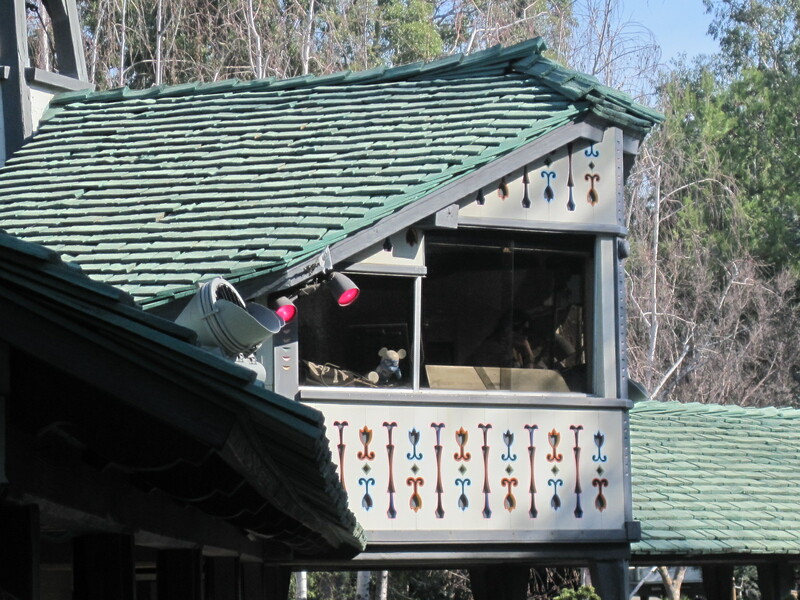 Click on the image and look carefully: There's a Yeti Vinylmation in the Matterhorn control booth. 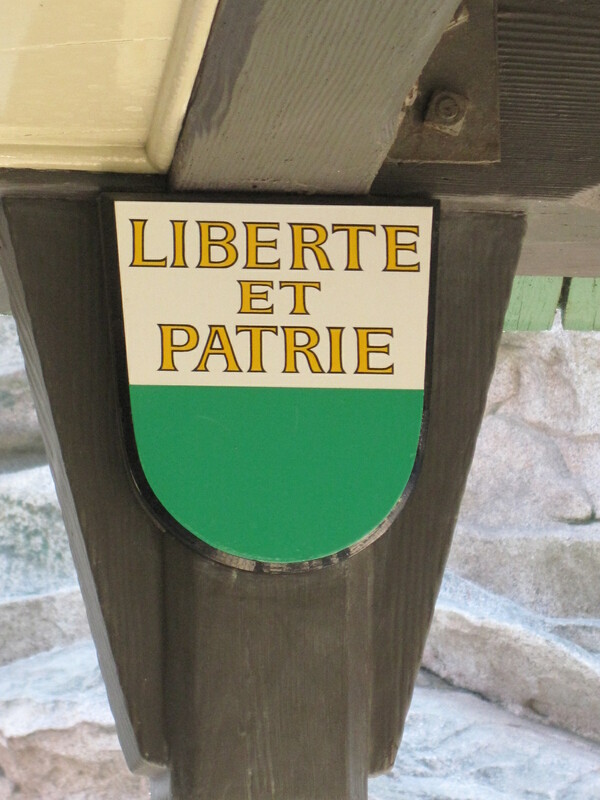 Ever notice this sign on the Matterhorn queue, on the right side? It translates to "Freedom and Fatherland." Another fashion win! 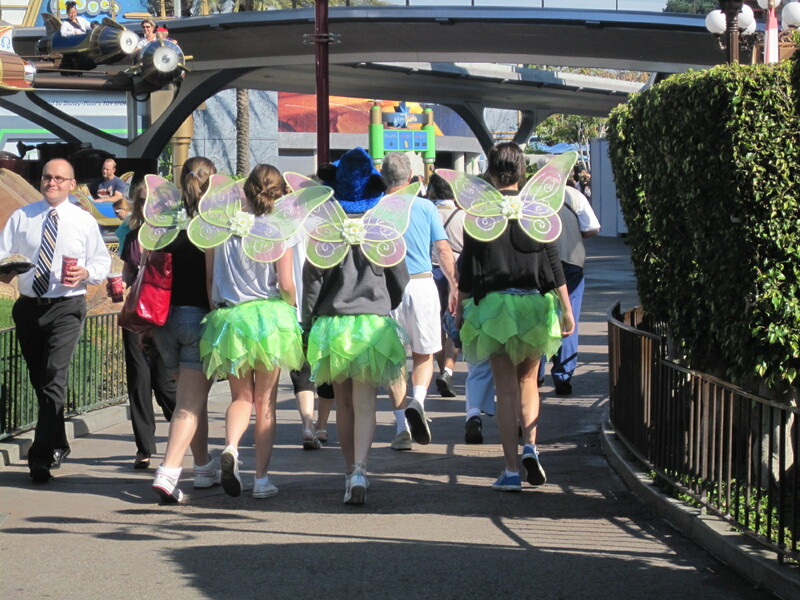 I don't know who they are, but I love their wings. Even sitting down for a meal in the parks alone can be wonderfully relaxing. 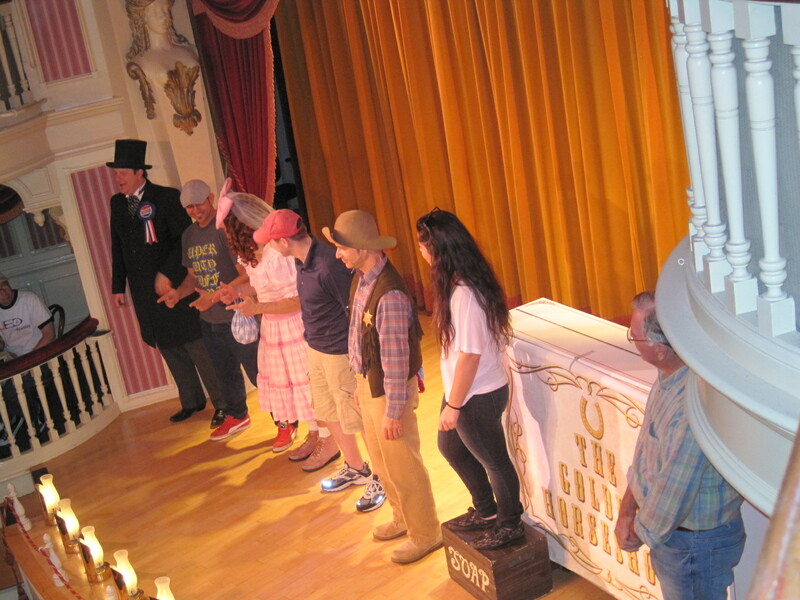 I spent both lunch and dinner at the Golden Horseshoe, where I could catch a show and recharge my phone (gotta keep posting those wait times to Lines, y’know?). And yes indeed, I did ride the rides. I hit all my faves: Matterhorn, Space Mountain, Pirates, Haunted Mansion, Snow White, Buzz Lightyear . . . the list goes on and on. 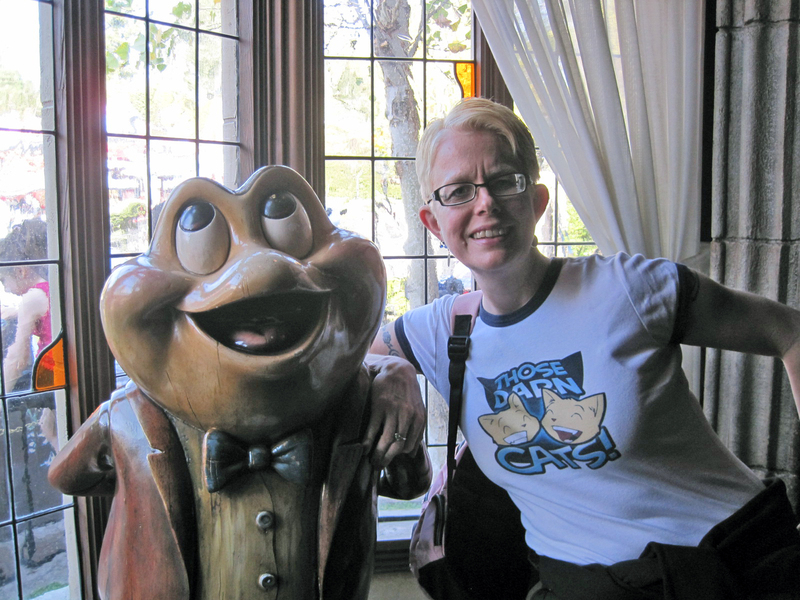 I lost track of how many times I ran through Mr. Toad’s Wild Ride. I went on the Finding Nemo submarine ride for the first time, and was pleased to see the same excellent technology in place for The Living Seas with Nemo over Epcot way. I danced in my seat while Captain EO promised to change the world, thinking gladly ahead to watching it again in a few days, with my MJ-fan son and whomever else we could drag along. And of course, eventually the day came to an end. The park closed at 8:00pm, and honestly I was ready for the drive back to San Diego. I had a business call to return, and I knew things might get complicated. But I couldn’t call it a day without paying a visit to the big guy. As I sit in a Brookline coffee shop, on this sunny day in Boston waiting for the next foot of snow to drop, it’s nice to think back on a chilly Wednesday at Disneyland. Embarrassing but true: On my day trip to Disneyland this week, I was more excited about using the Touring Plans Lines app on my Droid than riding the Matterhorn. Here’s the thing: I’d only used Lines once since they’d added the gaming mechanics, and since I’d come down with a bacterial bronchial infection during that August trip to Walt Disney World, I spent far more time sweating out fevers and watching Phineas and Ferb than touring the parks. So, while I’d opened up the app a few times on that trip, I hadn’t really taken it for a spin.So, I was thrilled to receive a review copy of the new Disneyland version of the Lines app shortly before my planned day-trip to the happiest place on earth, in the middle of a business trip to Southern California. I knew that the advice on wait times that the app provides would be less crucial on a chilly Wednesday in January than on peak times in the park, so was mostly stoked about leveling up a time or two, and earning a few badges on the way. How it works: Within the Lines app, you can view current estimated wait times for all attractions in the park, and post wait times based on your own experience. The wait time estimates in the app are developed through 10 years of historical data gathered by the Touring Plans team, plus user-reported times gathered through the app. And it’s these user-reported wait times that bring the gaming mechanisms into play: As you report wait times, you can level up by reporting increasing numbers of wait times, and earn badges by reporting times for specific attractions, combinations of attractions, or times of day. A message board is built into the app, with separate sections for Disneyland Chat and Walt Disney World Chat. There seems to be a fairly healthy community of Lines fans hanging out in the chat most of the time, which came in handy when I had questions about the best place to charge a cell phone (Golden Horseshoe balcony, where you can charge up while catching a show), or whether there are any coast-to-coast badges that we bi-coastal park fans can earn (nope, but there are multi-park-in-one-day). You can also look at each users’s stats, and when you submit wait times, you’re told who the current “top submitter” is for that attraction. And as with most popular message board systems, there’s a lot of trip advice and social chat as well. The user interface is quite good, with the occasional irritating glitch. For some reason, it seems to re-set to its home page whenever I slide out my Droid 2 Global keyboard, but that was easy to deal with once I realized I only needed the keyboard when using the Chat (and then simply opened it before drilling down into the Chat section. Everything also got easier once I realized that, if I just left the app on the list of attractions for the park, I could just click on the “+ Time” button in the upper right to be brought to a page from which I could select any attraction and report a wait time. In addition to the gaming mechanics, another feature had been added since last I’d used Lines: You can now submit wait times not just from the posted time on the attraction, but also by timing your own wait using the app. 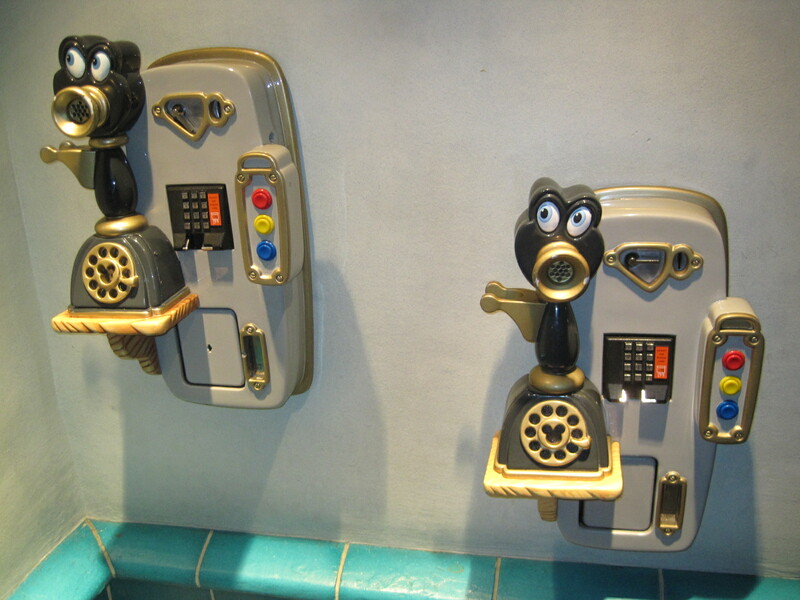 This wasn’t just cool, it also allowed me to post wait times for attractions that didn’t have a posted time, or where I was sure the posted time wouldn’t match the actual wait (for example, a 10 minute posted time for Pinnochio was a walk-on instead). 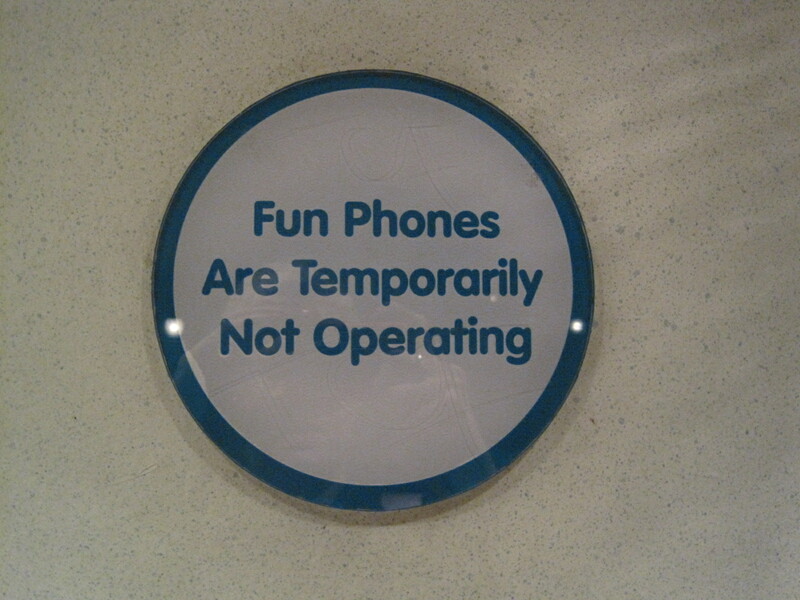 I haven’t tried any of the Disney-sponsored phone apps, as (to the best of my knowledge) they’re not available on the Droid. But I suspect I wouldn’t enjoy them as much as the Lines app, since Disney wouldn’t be likely to allow as much un-moderated interaction among users as the Lines app supports (I do believe the Lines folks would clean up anything seriously wrong posted to the Chat, but they don’t seem to sanitize things as a general rule). 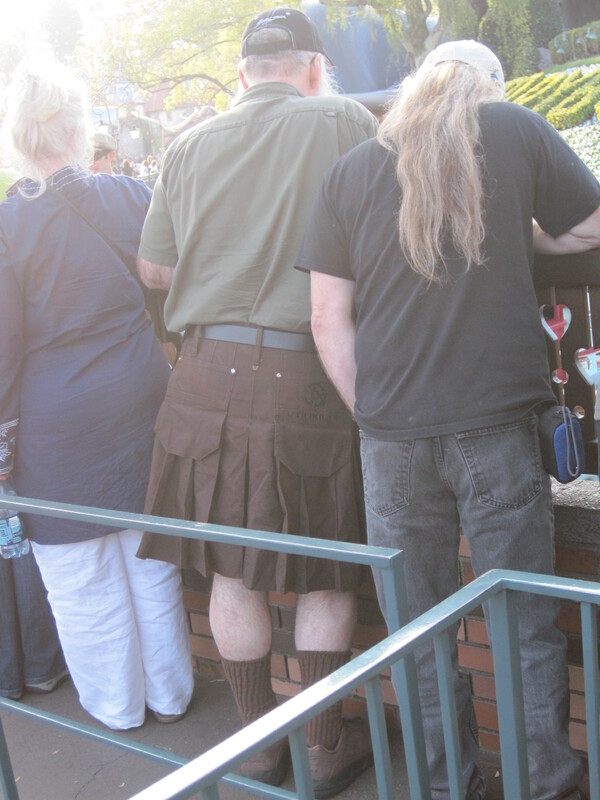 So, how did my day at Disneyland turn out? Well, I was right – a chilly Wednesday in January means very short wait times for most attractions, so I didn’t rely much on the app to guide my steps. In fact, I’d entered the park with the One-Day Touring Plan for Adults, but abandoned it after the first few attractions, since both experience and the Lines app were telling me wait times were short enough that the criss-crossing of the park which this plan includes wasn’t actually necessary under the circumstances. I rode every attraction I wanted to, sometimes two or three times, and even lost track of how many times I went on that wild ride with Mr. Toad.And my new Lines stats? I’m now an Unofficial Scholar, having submitted a total of 65 wait times so far. 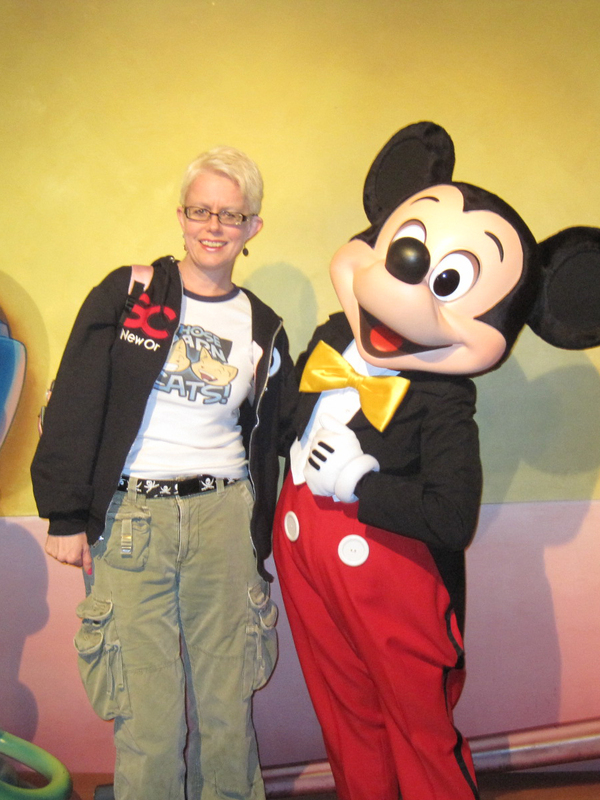 I’m hoping to level up again next week; if I can submit another 10 wait times before this weekend’s trip to my BFF’s WeddingFest at WDW is over, I can get promoted to Crowd Specialist. Plus, I earned a few new badges, my favorites being Shrunken Ned (Wait times for every attraction in Adventureland) and Nowhere in Particular (5 wait times for Mr. Toad’s Wild Ride). 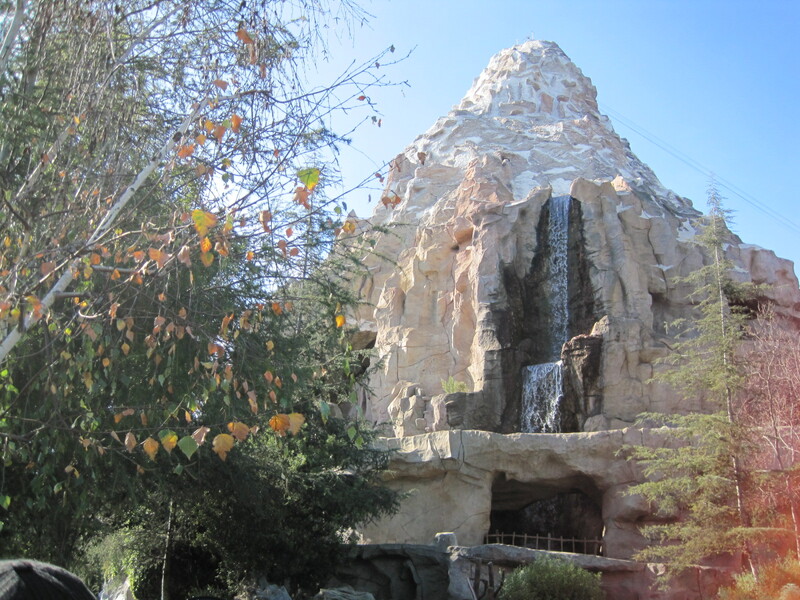 Plus yes, I did ride the Matterhorn, and I have to admit it was more thrilling than leveling up. The fact that it’s got a working Yeti (unlike Expedition Everest) is a darn impressive selling point. But it’s a good thing I don’t have to choose between Lines and the Yeti, because it would be a close call. How much do I wish that I could be there at Gay Days Anaheim on October 3, performing specially choreographed moves with festive friends at the Tiki Room? Hat tip to my good friend Trace of the Disney Dudes for sending the link! I guess the rumors had to be true sooner or later, right? It’s just been announced that Star Tours 2 in 3D will debut at Disneyland in 2011. I haven’t heard word yet about when it hits Walt Disney World (or the other Parks worldwide for that matter), but I’ll bet by the time you’re reading this there’s word on the interwebs somewhere. Update: The Disney Blog says Walt Disney World will also receive the update in 2011.